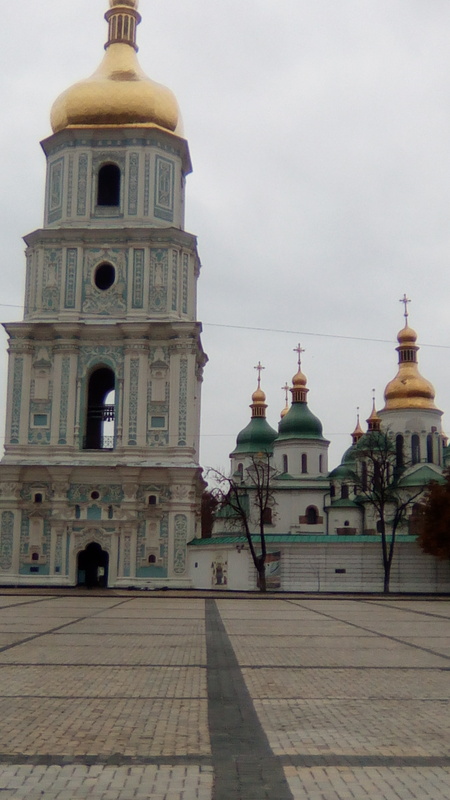 The old city of Kyiv is stunningly beautiful and was well worth my time to stroll around on a crisp fall day during a break in meetings on a recent business trip. 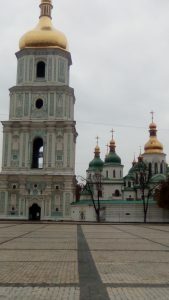 I focused on the area of Sophia square, which includes the thousand year old St. Sophia Cathedral, Bodhan Khmelnytsky monument, the monument to Princess Olga, and St. Michael’s Golden Domed Monastery. 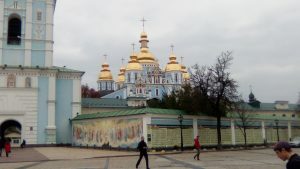 If you are staying at any of the international hotels in Kyiv, the location of the cathedrals is well within walking distance. 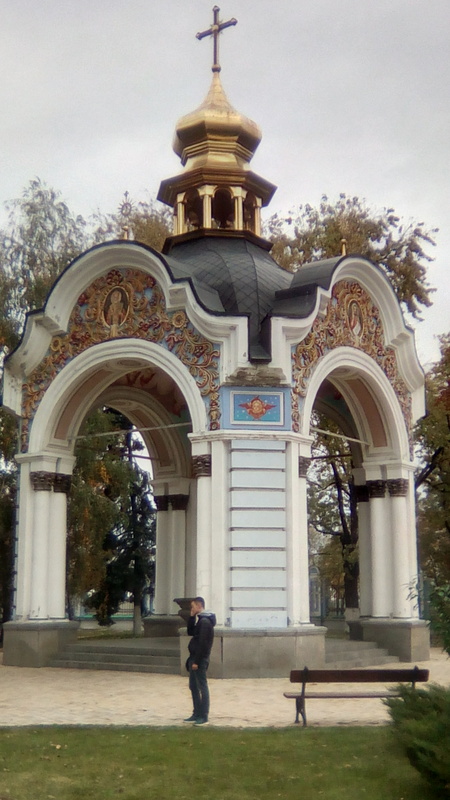 If you’re near Maidan, simply walk up the hill across from the Hotel Ukraine and you’re at Sophia Square. 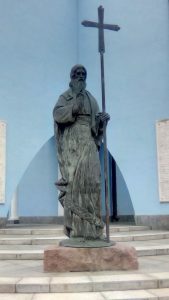 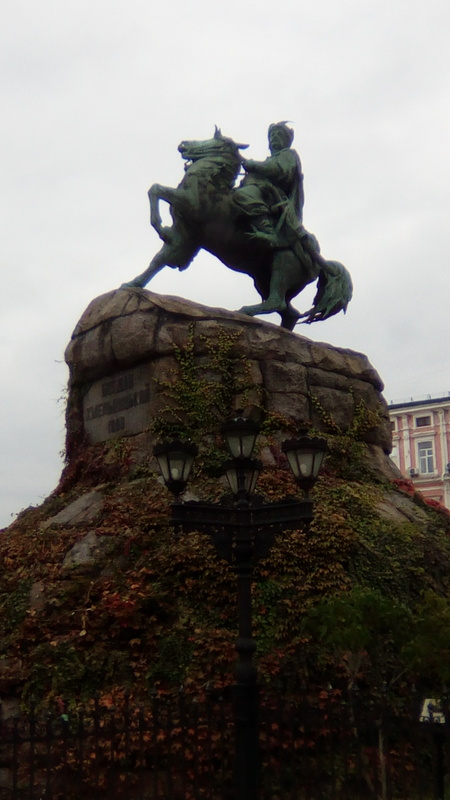 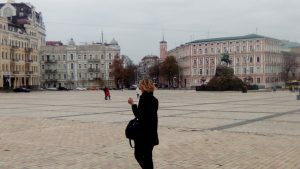 The square is like one you will find in any European city, an expansive terrazo centered on the monument to Bohdan Khmelnitsky, the warrior hero of Ukrainian unification against the Poles. 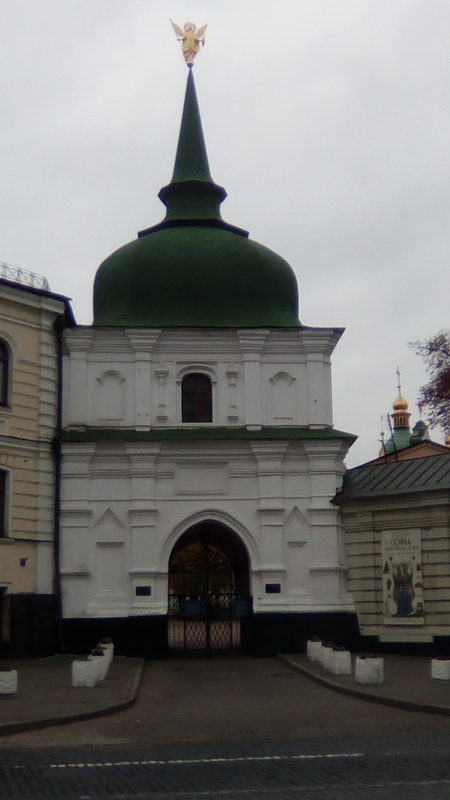 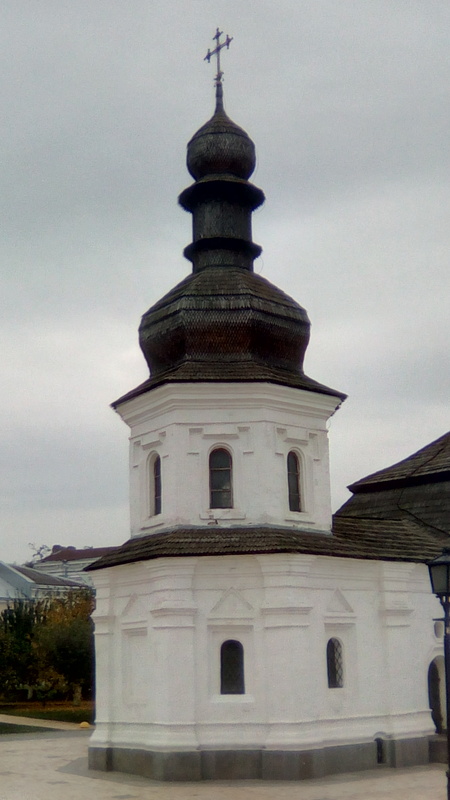 The area was once the center of old Kyiv and is flanked to the west by St. Sophias Cathedral itself, built a thousand years ago and still standing strong, along with her associated outbuildings. 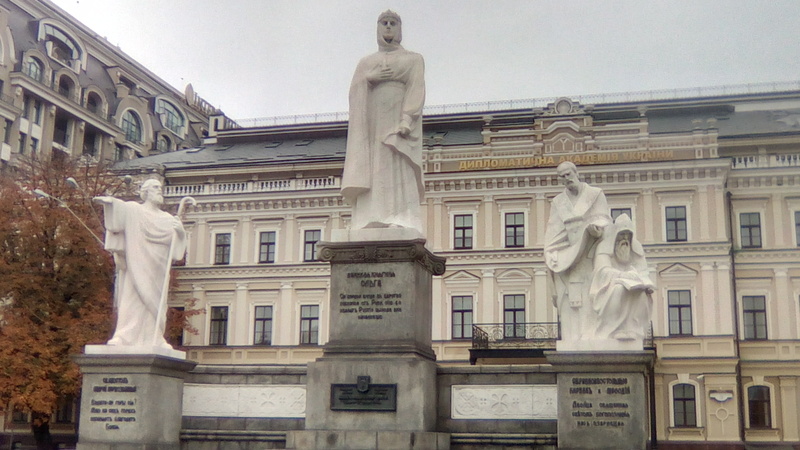 Here is evidence of Kievan Rus herself, the beginning of Slavic culture and the forerunner to Moscow. 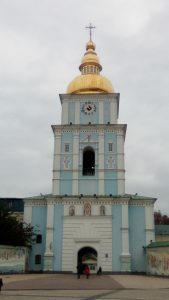 To the East, overlooking the Dnieper River, is St. Michael’s Golden Domed monastery, still a functioning church facility. I walked inside the gates of the structure and marveled at the beauty of the golden domes and the intricate nature of its construction. 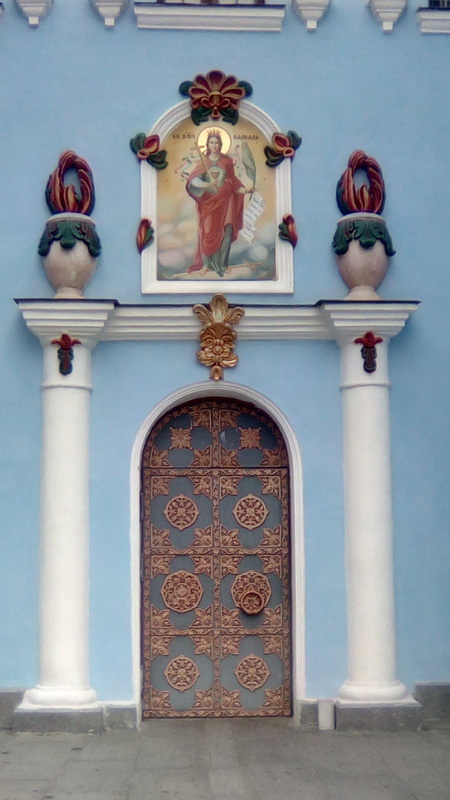 The monastery was destroyed in the 1930s by the Bolsheviks as they tried to erase any evidence of Christianity and install atheism throughout the USSR. It was rebuilt after the fall of the Soviet Union, with many of its relics returned as they had been preserved. 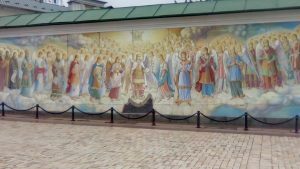 I walked inside the main church and sat on a bench to the rear of the holy area and just admired the beauty of the interior, with the ancient icons covering the walls. I was amazed at how many normal citizens of Kyiv would walk into the church, cross themselves and pray. It seems Ukraine has recovered its spirituality after the Soviets tried to destroy it. 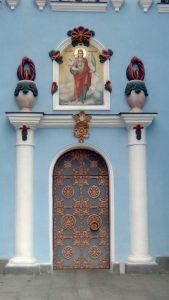 Perhaps the most unexpected part of the day was observing a young family Come to the church to christen their infant daughter. To see the joy on the face of her older sister, maybe five years of age, as she walked through the walls of the structure to see up close the golden-domed place of worship, was priceless. 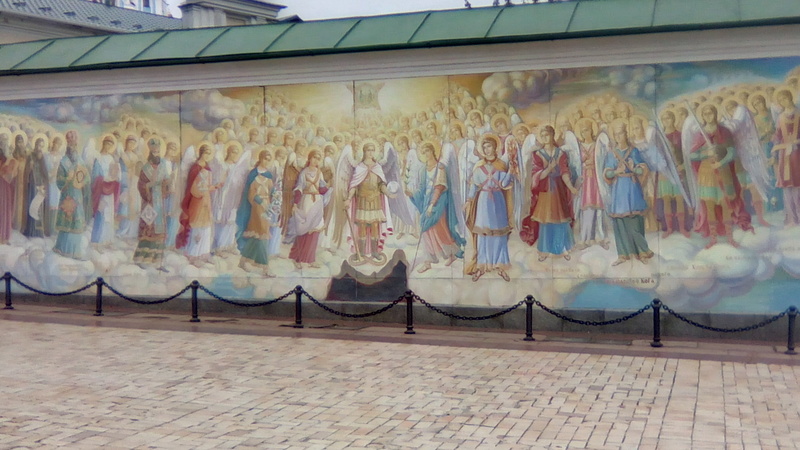 There was lots of laughter and happiness to be had on that day. 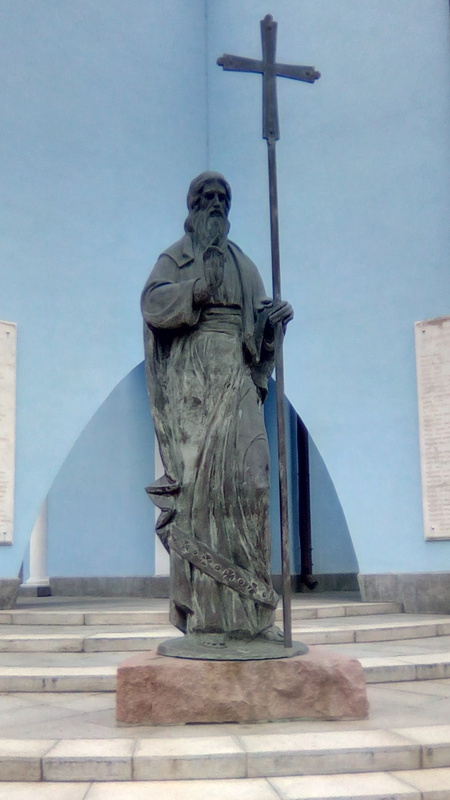 It made me realize that Christianity in the West has lost this happiness, as it morphs to more of a secular organization, concerned more about a culturally Marxist agenda than what the church was founded upon. 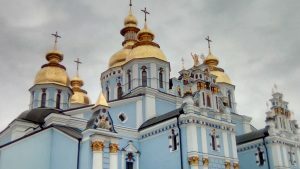 Perhaps we can learn from the former Soviets, who experienced government-sponsored atheism, yearned for the church to be returned to them, and eventually made it so. 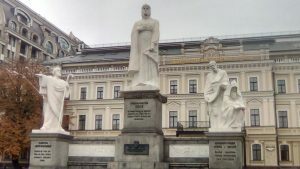 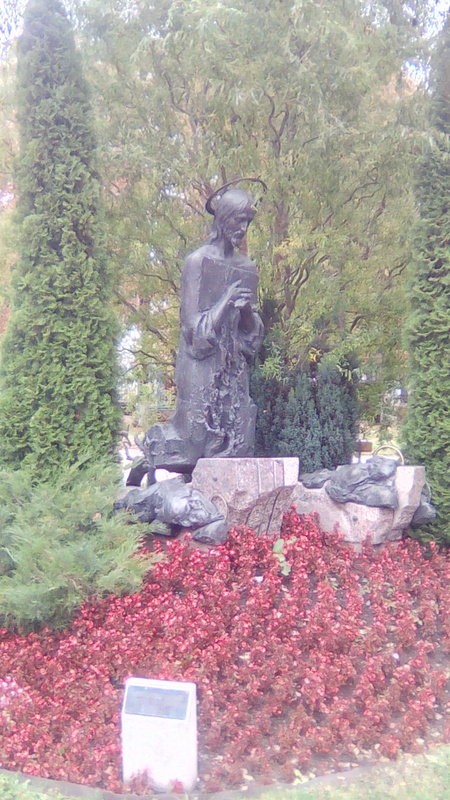 Finally, upon leaving the monastery, I stopped to admire the monument to Princess Olga, the woman who began the Christianization of the kingdom of Kievan Rus, to be followed by Vladimir the Great who finished the process. 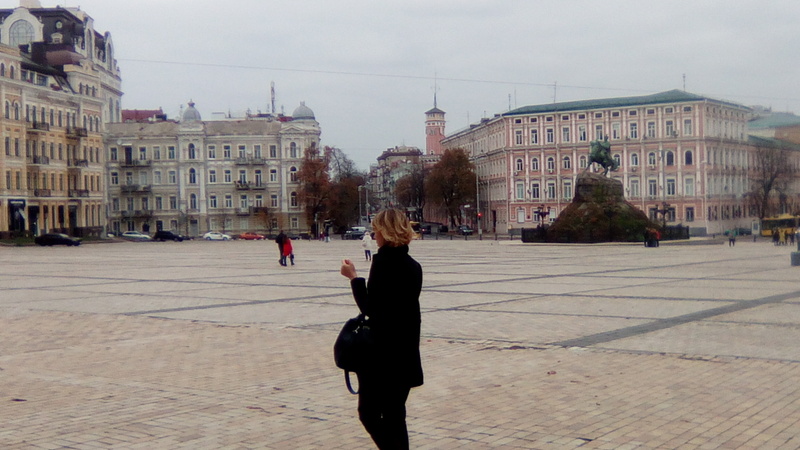 Yes, an enjoyable day in the center of Kyiv indeed.